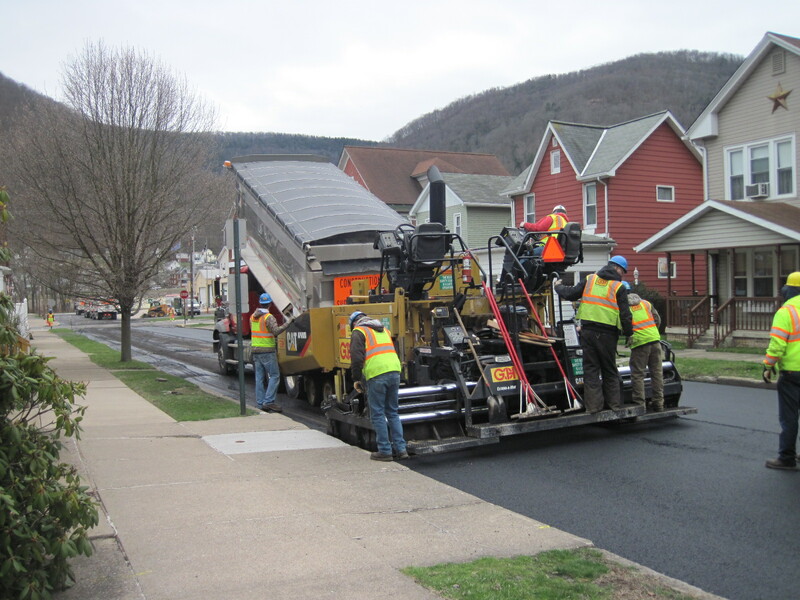 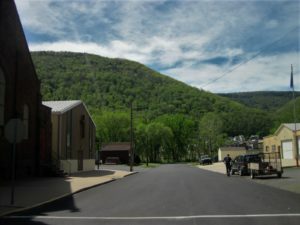 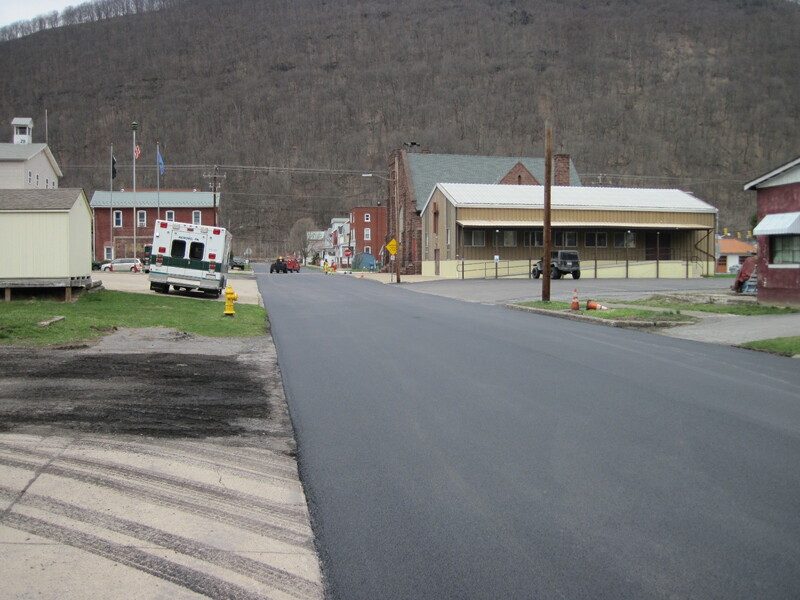 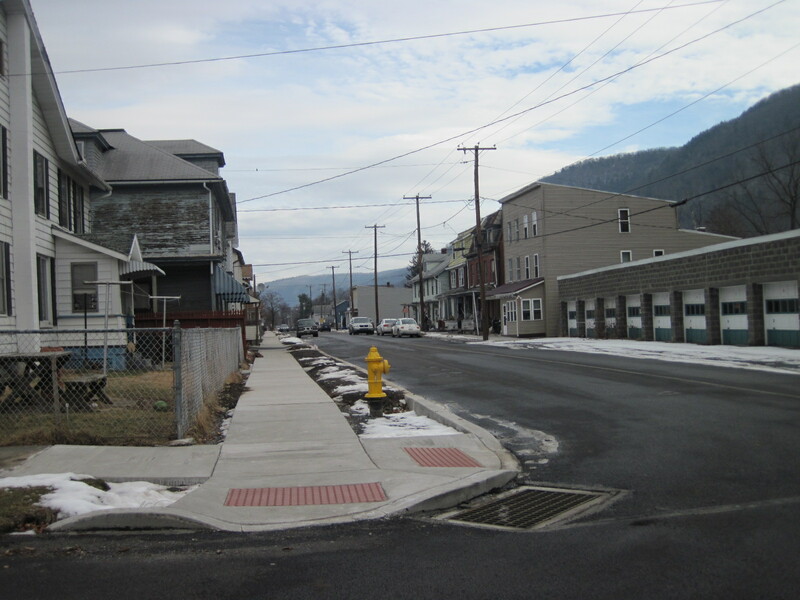 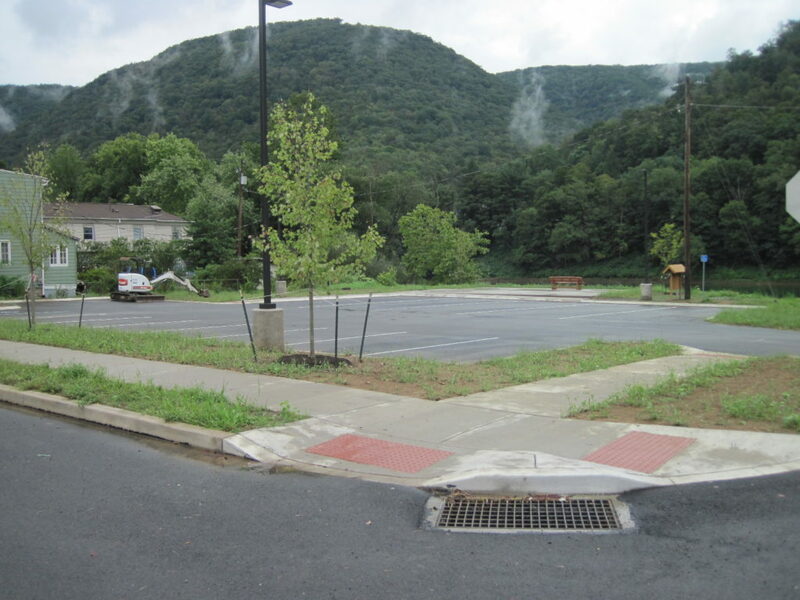 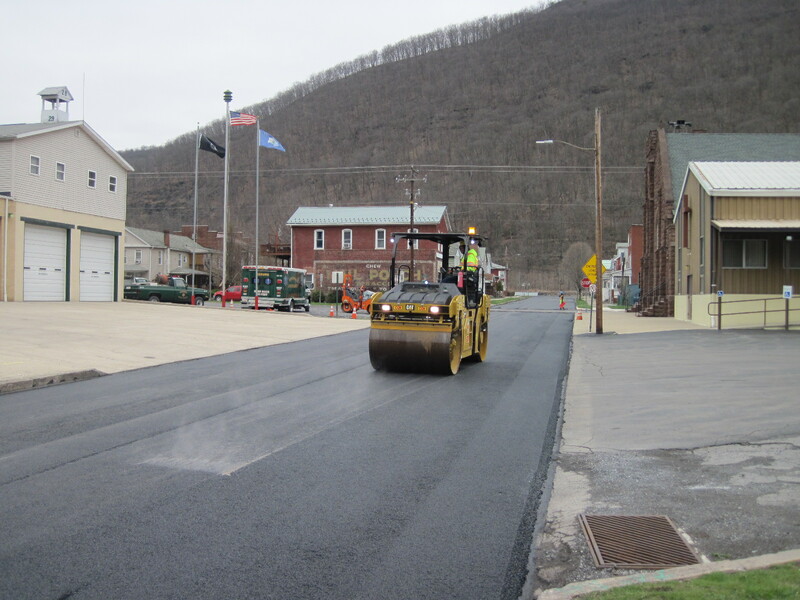 Our project in Renovo Borough consisted of reconstructing Ontario Avenue from 4th St to 8th St and mill and overlay from 8th St to 11th St. Pictured are the concrete sidewalks, curb ramps and curb at the 4th St intersection of Ontario Ave looking east. 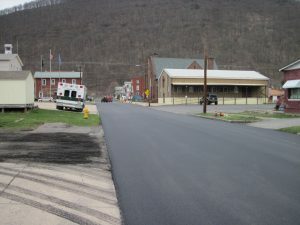 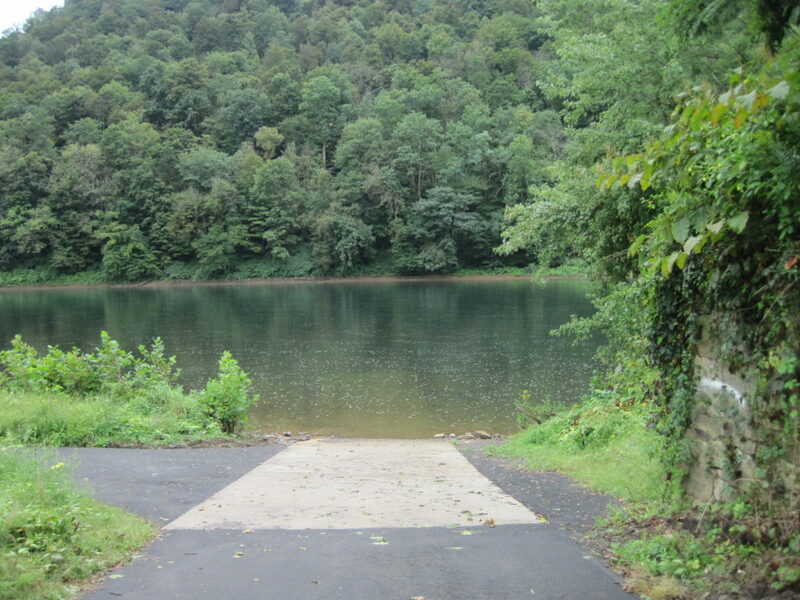 New asphalt pavement boat ramp at 5th Street boat launch. 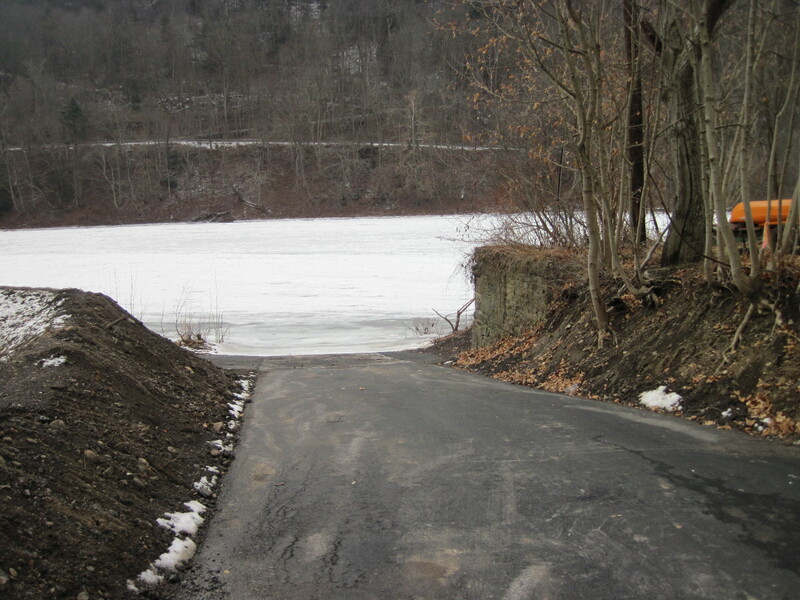 Note lower concrete ramp portion visible just above ice flow line.